Greg Norman’s 7,700-yard Earth Course will decide which of Europe’s latest major winners is crowned European No 1 on Sunday. And McDowell reckons he has gained enough power this year to grab the fourth win of an unforgettable year and erase the German’s €290,911 lead. Needing at least a top-3 finish to have any chance, McDowell has set his sights on a win worth €910,348 that would end all arguments. Excited to get going, McDowell said: “I’m driving the ball great, which is key this week. I am feeling ready good about my game and I am playing well enough to win. The last three holes measure exactly one mile and after finishing 30th last year, McDowell felt that the course was simply too long for him. But he has since picked up 10 yards off the tee and can’t wait to continue a red-hot streak of form that has seen him follow a win at Valderrama with a third and a fifth place in his last two starts. Pumped up by the challenge ahead, McDowell said: “I didn’t like the course last season because I didn’t drive the ball well. But I am a different player than I was last year. “I am probably about 10 yards longer off the tee than I was last year and I am driving it much, much better. “My caddie just reminded me that we played the golf course early every day last year because I wasn’t in the mix. “It plays longer in the mornings because it is cooler but this year I am going to be out there in the afternoon when it plays drier and it plays faster. McDowell was disappointed not to win last week in Hong Kong having gone into the final round just two shots behind eventual champion Ian Poulter. But his confidence is still sky high and he’s ready to throw down the gauntlet to Kaymer in the season-ending spectacular. Relishing the challenge, he roared: “It’s game on. He knows he has to go and do a job this week and I know I have got to go and do my job. It’s exciting. “I’m playing fantastic at the moment, coming off a fifth in Hong Kong, third in Singapore and a win a few weeks ago. Graeme McDowell reckons the Race to Dubai has become a four-way dogfight following Francesco Molinari’s wire-to-wire win in Shanghai. Sometimes belief isn’t enough to make all your dreams come true. But Graeme McDowell will be drawing on all the positive memories of a “dream season” when he tees it up in the Dubai World Championship today chasing his place in the history books. 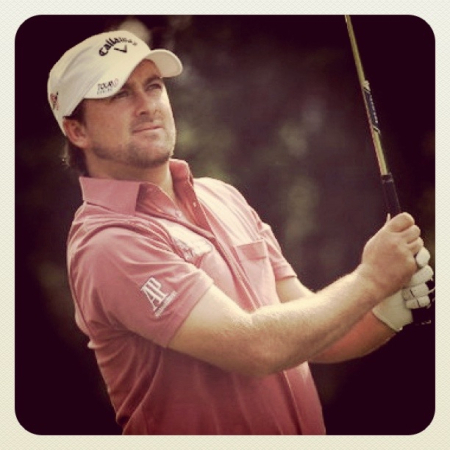 Graeme McDowell conceded defeat to Martin Kaymer in their Race to Dubai duel to succeed Lee Westwood as Europe’s No 1. 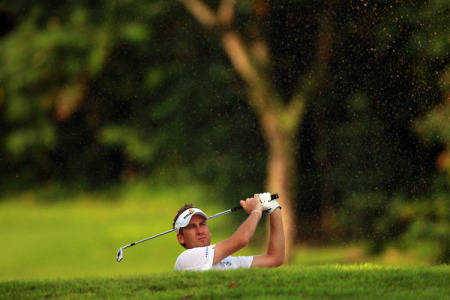 But with Westwood now at the top of the world golf rankings, world No 9 McDowell believes he can reach the summit of the game by becoming golf’s top player. Northern Ireland’s Graeme McDowell and Germany’s Martin Kaymer, the joint winners of The Race to Dubai European Tour Golfer of the Year Award (©Getty Images) Martin Kaymer and Graeme McDowell have been voted joint winners of the Race to Dubai European Tour Golfer of the Year - the first time the award has been shared in its 25-year history.